Businesses need to offer more perks than just a week's paid vacation and basic health insurance to retain the best employees. Some perks are standard, but it takes a bit more than that to keep great teams happy. For the best retention and loyalty from hires, companies should invest in many different aspects of wellbeing. Read below to find some of the best perks to keep great employees loyal to your company. Give an employee a blank cubicle and a feeling of dread might set in. 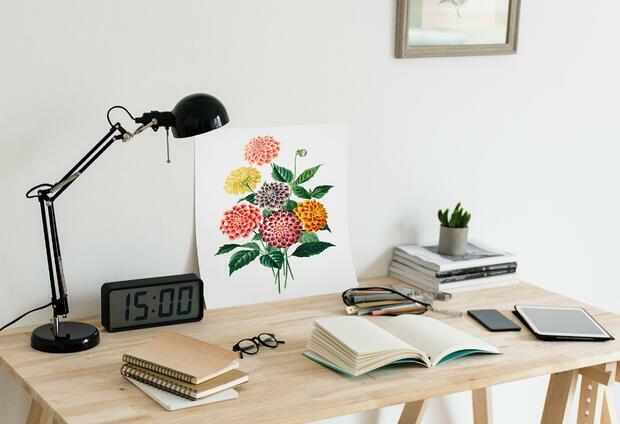 Give an employee a blank cubicle and a nice budget for the perfect decor, and you will have a happier hire who is excited to come to their personalized workspace every day. Asana, a tech company in Silicon Valley, goes above and beyond with a $10,000 budget for new hires to pick anything out from a high-tech convertible desk to an ergonomic chair. However, you can provide the desk and chair and give a budget of a few hundred dollars for desk and cubicle personalization. Companies on an even smaller scale that can't offer a specific decor budget can still offer a variety of desk and seating options for new employees to choose from. Giving employees a decor budget and control over their personal space shows that you are investing in their happiness, comfort and success from the very first day. Donation matching has become an increasingly popular employee perk. It benefits your hire and the charity of their choosing. Consider the following components for donation matching. The match ratio determines what percentage of your employees' own donation the company will match. Some companies like GE or Microsoft offer a 1:1 ratio, while others go beyond with a 2:1 or 3:1 ratio, meaning the employee's donation is doubled or tripled. Most companies also set a maximum donation per employee. American Express tops it off at $8,000, but some, like Soros Fund Management, go all the way up to $100,000. Now, that's a lot of bang for your buck! Show your employees you not only care about them but the causes they care about too. Vision coverage on its own is a wonderful benefit to offer employees, but wouldn't it be better if the eye doctor came to your office, allowing everyone to get their eyes checked on site? 2020 On-site brings the aforementioned ultra convenience to eye exams. The 2020 On-site bus will come right to the door of your office. 2020 On-site offers 300 frame styles to choose from. After the exam, 2020 On-site emails patients their prescriptions, so patients can easily order glasses or contacts. When your employees want a new glasses look or run out of contacts, they can easily order on the 2020 On-site's website. This is a great benefit because about 70% of 2020 On-site's first-time patients hadn't had their vision checked in over 2 years. Sitting at a computer all day can lead to eye strain and changes in vision. It only makes sense that companies would offer this benefit. 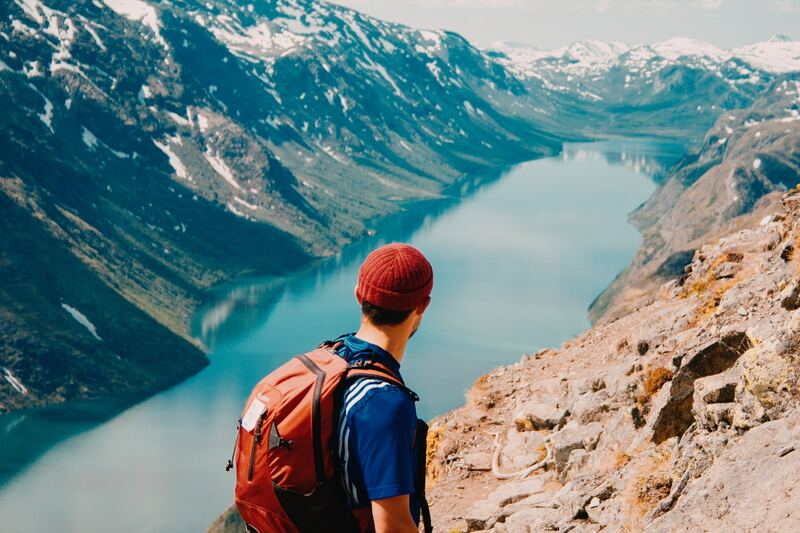 It used to be that only university professors and top research professionals took sabbaticals - unpaid leave to explore an interest or idea with the guarantee that your job would still be there when you return. Now, top companies are offering them to their employees to enrich their lives and retain the best employees. Smart people often have lots of interests, and they want the time to explore them. There are different ways to offer sabbaticals. Some companies offer it as a perk to long-time employees. After you work for REI for 15 years, you get 4 weeks of continuous vacation every five years to explore and expand your world. Other companies offer a sabbatical to employees on a regular basis right from the start. Vistaprint offers their four week "Vistabreak" to all employees every five years, as long as they are in good standing. Some companies combine unpaid leave with paid leave to make sabbaticals more appealing. Zillow offers a six week sabbatical every six years, with half the time off paid. Offering flexible vacation policies shows your employees you want them to be happy. They allow workers to do what they want, as long as they get the job done. Employees don't want an overlord boss looking over their shoulder and monitoring their vacation time. They want freedom and respect. Unlimited vacation policies show you think they are responsible and you trust them to manage their own time well. Be careful when offering unlimited vacation. Some studies found employees will actually compete with each other to see who can take the least amount of time off. Other studies show that such policies encourage employees to take less time off when a strong and dedicated work ethic is present, as is common in the US. To solve this problem, some companies, like Baremetrics, enforce a minimum vacation policy. They ensure employees take a minimum of four weeks vacation, with at least a single week-long stint out of the office. Of course, a few people will use an unlimited vacation policy to it's fullest potential and be out of the office a bit too much, but that is not the norm. Overall, unlimited vacation is a great perk, but it's important to make sure that you actually give employees the opportunity to take vacations. Offer breaks in project schedules and coverage from temps or other employees when someone dips out for a week or two. 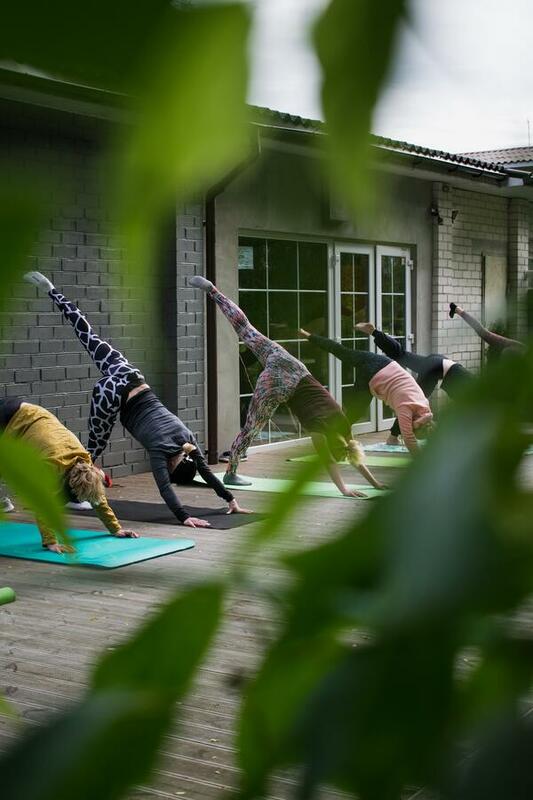 Yoga classes, assistance with smoking cessation and meditation sessions seem like things your employees could do on their own time, but many companies now offer these perks on-site. Keeping employees healthy and happy is not only good for them, but also for your bottom line. Wellness benefits may lead to fewer sick days and fewer serious health issues that could keep a star employee out of work for an extended period of time. Other ideas include a fun field day, in-office massages (by professionals of course), or creating a nap or relaxation room. Small-scale ideas may be as simple as providing a branded, reusable water bottle to encourage hydration. Don't forget that mental health is part of overall health. Happy employees may be more loyal and productive. Doing laundry really stinks (hopefully not literally.) Many residential buildings in urban areas do not have laundry available for tenants. Employees have to spend hours at the laundromat on the weekends or pay a service per pound to take care of the problem. Why not take that burden off the table by offering a laundry service? JibJab, a media company based in Los Angeles does just this. Every Monday employees bring in their laundry to have it washed, folded and returned the next morning. This leaves them a few hours to get in more relaxation during their time off. 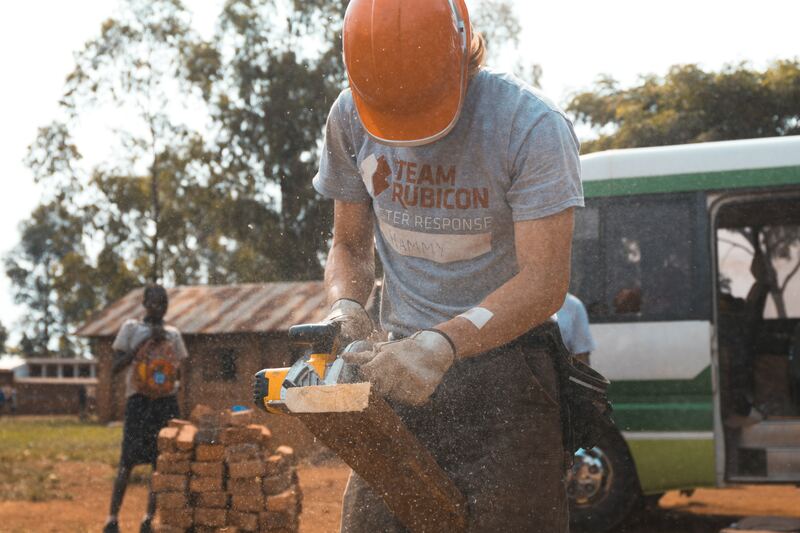 Volunteering gives people a purpose and more fulfillment in life. Volunteer time off is paid time off specifically for volunteering. It allows your employees to do more than just donate money to their favorite causes. They can actually show up in person to support! Some companies give employees a few hours each week to volunteer with their cause of choice, while others have a cap of a certain number of hours per year. This perk may attract genuine people with strong values to your organization, and helps your company retain talent. It may also give your employee purpose while helping the overall community at large. This is a great perk for those who want to attract heartfelt employees who care about the world around them. It's a sad truth that the US has no laws guaranteeing paid parental leave for a birthing or non-birthing parent. Some employees may be eligible for up to 12 weeks of unpaid leave, but many cannot afford that, and only about half of American workers are eligible anyways. Because of this, some parents go back to work soon after having a baby or adopting a child and don't get the time they need to recuperate physically or form a healthy bond with their child. This is very weak in comparison to other first-world nations like Finland, where birthing parents get 3 years of paid leave. Canada has one year paid time off, and those in the UK get 39 weeks. Both Japan and South Korea offer 1 year of paid paternity leave. The US is definitely the odd one out both for birthing and non-birthing parents. That leaves it up to companies to pick up the slack and offer substantial paid parental leave programs. Netflix gives employees a full year of paid time off, and Amazon even pays for your spouses' parental leave if their company doesn't offer it. These perks help to retain top talent at a time when their lives are changing and they really need the support. Healthy employees are happy employees. When you invest in your employees' wellness, they feel cared for. Offer wellness incentives like financial bonuses, gift cards or other prizes for meeting certain goals. Goals don't have to be about weight loss or BMI (though they often are). They can also be for steps or miles walked in a certain period of time, days in a row of getting 8+ hours of sleep, or quitting smoking. Other ideas for wellness bonuses don't have to be tied towards reaching goals. Offer money towards a gym membership or wellness classes. Clif Bar & Company in Emeryville, California gives employees $500 towards purchasing a bike for commuting and offers bonuses for those who ride their bikes to work. Wellness bonuses are anything that encourages your team to take good care of themselves. Most companies must offer employees health insurance thanks to the Affordable Care Act. This law has gotten more people insured than ever before. However, the American health care industry still has some serious gaps. Some plans have high deductibles and copays that deter people from going to the doctor even if they have coverage. It is up to employers to provide health insurance that actually helps. Employers can get their employees the best plans with low deductibles and low co-pays. They can also pay for a part of the monthly premium, meaning that employees won't have to worry about how to pay for the healthcare that everyone must have. Some companies go as far as providing 100% of employee healthcare costs. Offer options for dependents, spouses, and services that basic health insurance might not include like vision, dental and mental health coverage. Pets are as important a member of the family as anyone, so why should they get left out of special coverage? More employers provide pet insurance as a perk to attract and retain top animal-loving talent. Silicon Valley's most popular employers like Microsoft and Yahoo have caught on to the trend and offer coverage for Fido as part of a competitive benefits package. This makes sense because about 60% of Americans own a pet! Vet bills can be quite high, just like human health bills. The worst part is, that many vet bills stem from a challenging emergency. Having pet insurance prevents owners from having to make a sad decision between their wallet and their fur baby. 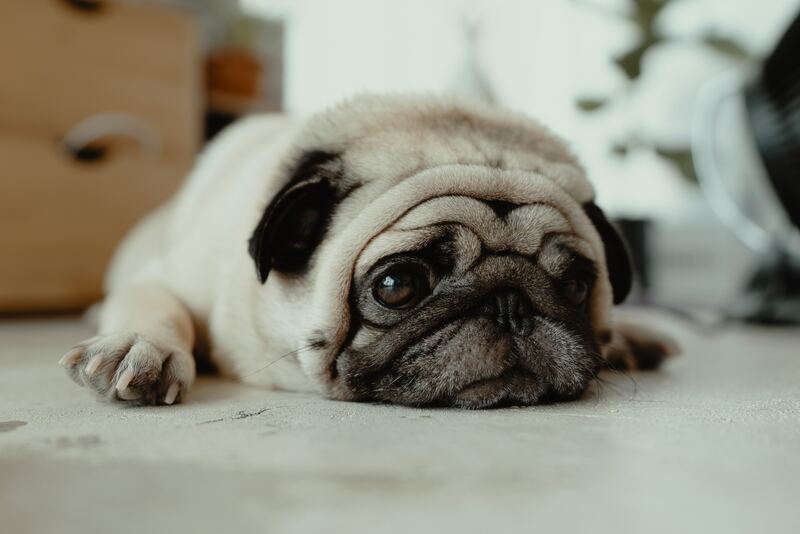 Some companies choose to pay the full pet insurance premium, while others cover a portion or offer a discount through the power of group purchasing. Retirement matching is a popular option for employee benefits. Like health insurance, most hirees expect it as part of a competitive benefits package. Now that companies do not typically offer pensions like they used to, retirement matching is even more important. There are a few ways to go about matching employee retirement contributions. You can match up to a certain percentage of their yearly salary, or a certain percentage of what they put into the account. The amount your company contributes can vary based on how much the employee contributes themselves. Some companies offer a retirement match as soon as an employee starts, but others wait a year to make sure an employee is dedicated to the business before putting anything towards the account, usually a 401k. Food on site is a great benefit, but feeding your employees junk all the time isn't going to lead to wellbeing. 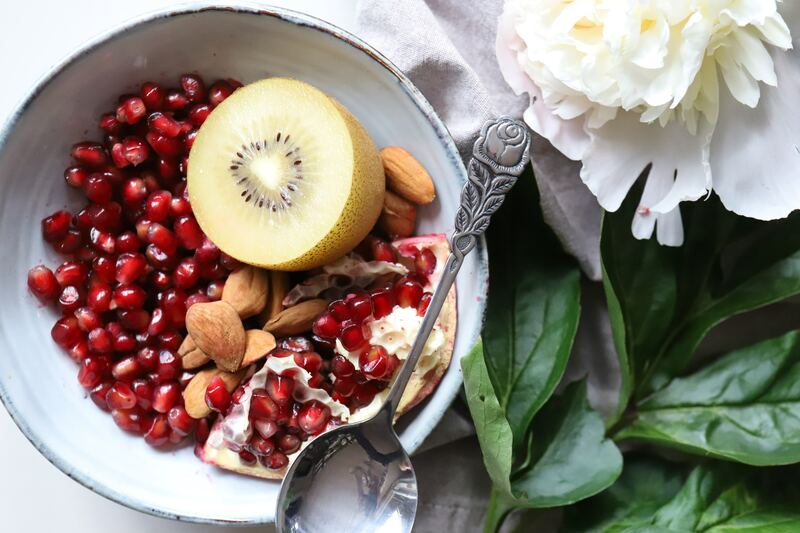 Healthy food options show your team you're serious about keeping them fed and on the path to wellness. Top companies offer a variety of healthy options in campus cafeterias, but not all companies have that luxury. Try offering a weekly lunch, monthly chef days or just healthy snacks instead of the usual chips or sugary cereals. If you do not have many food options at your office, compile a list of healthier restaurants and cafes to visit within walking distance. Invite a health or nutrition coach to visit and bust myths about healthy eating that can help employees eat healthier overall, leading to greater well being. We've all done trust falls and boring team building activities that have left more question marks than answers in their wake. What about doing things that are actually fun? Take your crew to an amusement park for a day, or bring in a professional chef to teach a delicious cooking class. Art classes, beer brewing lessons, wine tastings and even interesting lectures can enhance the environment. Try an escape room to encourage teamwork and giggles. Book clubs foster learning and leadership, especially those in which members read books about entrepreneurship or management. You could even sponsor a company sports team! Some companies have lunchtime lectures. Employees themselves can share a lesson in something they are passionate about. Examples include making herbal tinctures, raising chickens in their backyard or an app they built on their own personal time. Either way, making the office an interesting place to learn and grow is a sure way to keep top talent engaged. Employee perks are always a great investment. It shows your team that you care and makes them feel valued. 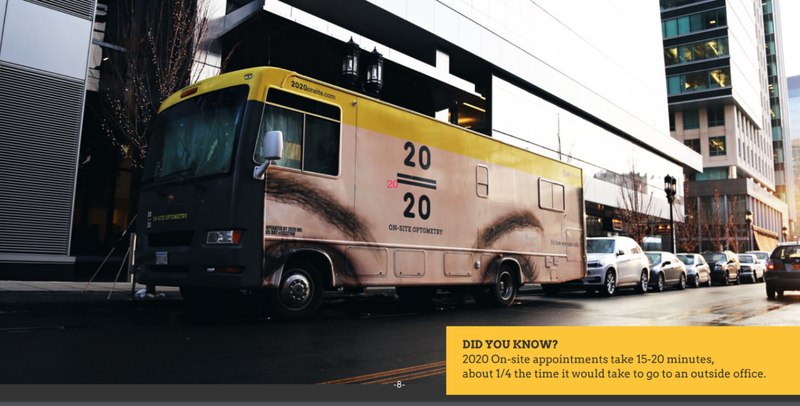 Contact us to find out more about offering mobile eye clinic visits to your employees as a major benefit!